Greenock Ocean Terminal is located at the heart of an extensive transport network, ensuring easy access for passengers travelling to and from the Terminal. For those passengers who wish to travel to and from the Terminal by train, the nearest station is Greenock Central, which is a 15 minute walk from the Terminal (0.8miles). 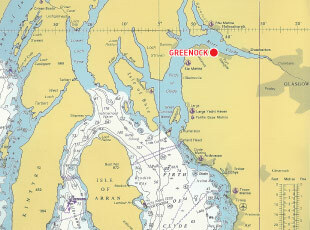 Greenock Central is a stop on the service which runs between Glasgow Central and Gourock, and there are normally three trains an hour on this service. For further information on this service and an up-to-date timetable, please vist www.scotrail.co.uk. Bus services in the area are operated by McGills buses, for further information on these services please visit www.mcgillsbuses.co.uk.